Hi yawl thank you so much for all the support, I was drinking that store bought stuff until i found you guys what a difference!!! My energy level went through the roof! I was a bit over weight a year ago and have recently been trimming down. 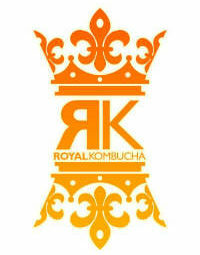 I owe a part of my success to Kombucha tea along with eating better. Thank you sooooo much ! ps, Love the illustrated instructions. Just wanted to say thanx for the help. I bought one of your kits online and totally botched the first batch! It ended up growing brown mold. Woops, I used tap water and boiled it thinking it would purify somehow. My bad. Although it was totally my fault you guys sent me a new one for free. This time i did it right! Thank you for standing behind your guarantee. Above and beyond! Wow ! It really works. I would suffer from horrible acid reflux every time i would eat pretty much anything. I did some research online and people were raving about Kombucha for acid reflux and now I’m one of them. My wife who’s name we wont mention had corns on her feet !!! ewww!! For about a week i would take a wad of cotton wool soaked in strong kombucha and dab it on the affected area and sure enough they disappeared. Who would have thunk.My grandmother is to thank for that remedy. I have been drinking kombucha since the 70’s off and on and fell in love with the way it boosts my energy level, not to mention I haven’t been sick in years. Thanks for the help ,First time brewer here. I was a little shy about starting my home brewing. Your team really helped answer all my questions and got me well on my way. Now I teach my friends to make their own. I suffered from horrible indigestion, acid reflux, and gas the majority of my adult life. Ever since i started drinking Kombucha it completely disappeared. Wish i would have found out earlier ,probably would have had more dates in college. So much energy! I work out quite a bit and wanted to stray away from those energy drinks and 5 hour poison thingy’s. The best part is that there is no crash. I feel MUCH better since drinking kombucha I would suffer from horrible migraines from menstruation. And my gray hair seems to be vanishing. Kombucha really helped clear up my skin. Before trying it I was using all sorts of over the counter medications. Since trying Kombucha I’ve really cut back on all of that, and I’m looking forward to more improvements! Thanks.